The ban only affects 580 meters of Hamburg’s Max-Brauer-Allee and 1.6 km of Stresemann Street but is significant because it is the first such move in Germany and because it could raise pressure on car makers to undertake costly retrofits. Jens Kerstan, senator for the environment in Hamburg, Germany’s second-largest city with a population of some 1.8 million, said the bans affecting diesel models that fail to meet the latest Euro-6 emissions standards will be maintained until the government gets automakers to install new exhaust-cleaning systems in diesel cars. “It’s our goal and our responsibility to protect the citizens against harmful exhaust gases,” Kerstan, a member of the Green Party, said at a press briefing. 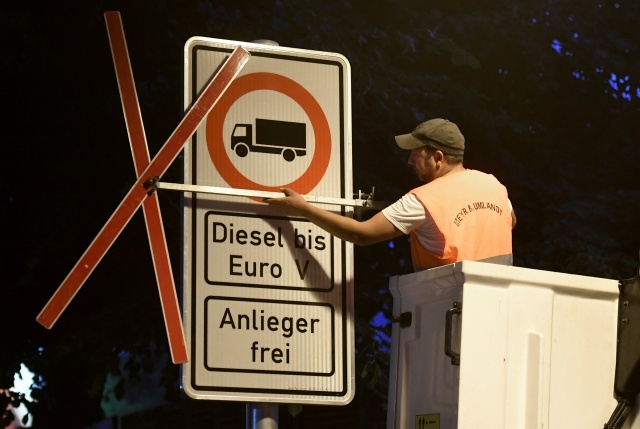 Of Hamburg’s 4,000 kilometre road network, only 2.2 kilometres are affected by the ban, Kerstan said. Such anti-pollution measures could be proliferating in Germany, where the country’s top administrative court ruled in February that Stuttgart, home to Daimler and Porsche, and Duesseldorf should consider such a ban. Merkel’s Social Democrat coalition partners have repeatedly called for hardware fixes as a means to help tackle diesel pollution, but Transport Minister Andreas Scheuer of the Christian Social Union, sister party of Merkel’s Christian Democrats, opposes such action. “There are legal, financial and technical reservations against hardware retrofits that must not be overlooked,” Scheuer told the RND group of newspapers, adding that prospects for hardware fixes would cause panic among car owners. The German Association of the Automotive Industry (VDA) said hardware retrofits were complicated and needed years of development, suggesting software solutions made more sense. “Manufacturers are equipping millions of diesel cars with new engine software. This will reduce nitrogen oxide emissions 25 to 30 percent on average,” a VDA spokesman said. An expert report reviewed by Scheuer’s department earlier this month concluded that the federal government cannot force automakers to carry out component changes on diesel cars unless excessive pollution is caused by deliberate fraud. The study backed the Berlin government’s current stance of relying on carmakers’ voluntary upgrades of emissions-control software to bring exhaust levels into line with EU limits. Environmentalists called the Hamburg restrictions a small but important step in the right direction, noting that cities would no longer have legal excuses to shun bans to reach air-quality targets. But some environmental groups said the restrictions would shift toxic nitrogen oxide (NOx) emissions to adjacent streets as drivers of older diesel cars find other routes, while policing the bans will be hard if the cars are not labelled in some way. “Hamburg environmental authorities acknowledge that there are similarly high levels of pollution elsewhere (in the city), but there are no measuring stations there,” Juergen Resch, director of environmental group DUH, told Deutschlandfunk on Thursday, adding the bans reflected political posturing. While some road users including residents, trash collectors and cab drivers are exempt from the restrictions, some business groups voiced concern about the implications. 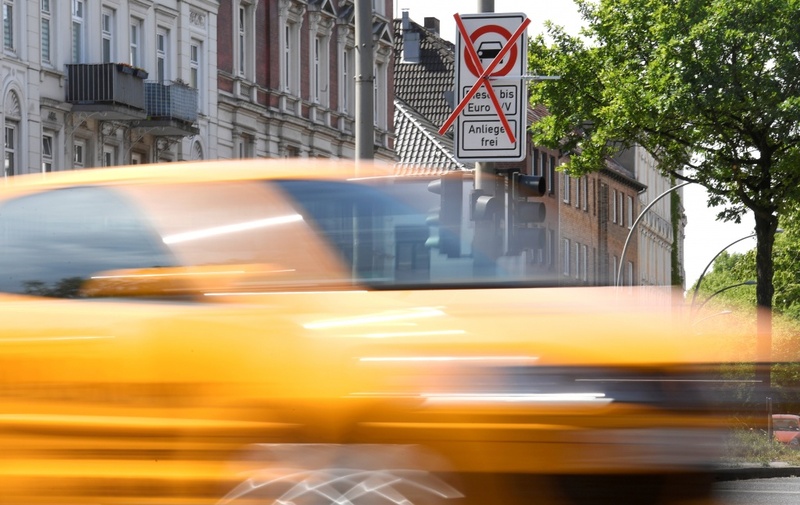 “Driving bans are a declaration of bankruptcy of the transportation policy and a dangerously wrong path with great risks for vital inner cities and on-site retail,” Josef Sanktjohanser, head of the Association of German Retailers representing about 100,000 companies, said. Germany and five other European states face possible fines for violating air quality standards after the European Commission said this month it would take them to the region’s highest court over the matter.